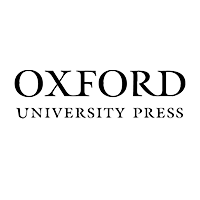 Oxford University Press is the largest university press in the world, with a strong presence throughout the globe, the organisation publishes products in more than 40 languages in both digital and print format. The IT department supports over 3000 users in the UK and 750 in the USA. Karl Andrews, IT Service Desk Manager, at Oxford University Press, talks about the need to introduce a new solution for user management; "With such a large and diverse organisation, user accounts need updating on a daily basis, due to new starters, leavers, transfers and temporary staff, if we relied on manual processes to do this, we would have to employ someone, all year round, simply to do user account updates. This is neither practical nor economical. We needed software that would enable us to provision user accounts and allow non-complex user administration tasks to be delegated to non-IT staff. We were using a GUI interface with a batch file for this, created and maintained by an in-house developer, however we needed a solution that other senior IT staff could work with and update more easily. We reviewed various vendors but found Tools4ever to be the most competitive. The implementation is still underway and comprises several phases, some of which are still to be completed. We have found that service received has been great. We work together to solve any issues." The organisation started off by implementing the New Starters system. Due to its size and multi-faceted structure, this was quite a complex process. 'Phase One' consisted of setting up forms to permit autoprovisioning for new employees, temporary staff and 'Express Users' i.e accounts that needed to be set up very quickly for 'emergency' staff members. This stage also involved creating a custom web front end specifically for Oxford University Press, and a separate 'Business Systems' website. UMRA has also been configured to connect with and carry out processes in Marval – a service management software system – in order to carry out the management of 'New Starters'. Karl Andrews, IT Service Desk Manager, comments on Phase One of the organisation's IDM implementation: "The New Starters process has worked fantastically since its implementation. We've had no complaints about the system and are very happy with the way it has been running.Your Support team were very helpful with the whole process; we had weekly progress meetings, and I really felt they were on the ball. Any issues were sorted out through communication between your team and us. I see our relationship as more of a partnership then a vendor & client." "The ROI on this is business continuity. I know that I won't be having issues in future. UMRA is an adaptable product that is very easy for IT to use." Phase Two of the implementation is set to tackle 'Leavers' and 'Transfers' within the organisation, which are currently managed by lengthy manual processes. Now that Phase One of the UMRA implementation has been completed, the organisation has moved on to the next stage. This is currently being constructed by Tools4ever, with the help of Oxford University Press's in-house developer. Karl Andrews comments on the progress of the implementation so far: "The ROI on this is business continuity. I know that I won't be having issues in future. UMRA is an adaptable product that is very easy for IT to use. In fact we've also been looking at other solutions we can use together with UMRA to automate procedures even further." Oxford University Press also implemented SSRPM - Tools4ever's password reset tool. At the time of deciding to install the solution, the organisation already had software in place. They made the decision to switch to SSRPM as they felt it brought more advantages. Karl Andrews comments: "We already had a system in place which we were quite happy with. However, SSRPM brought us more in terms of ease of use. It's more intuitive and better presented to the end-user than a lot of its rivals. As such we implemented the SSRPM solution in 2010." The company found the 24/7 availability that the product offers to be particularly beneficial. Due to the large number of remote users within the organisation, the ability for end-users to be able to reset their passwords out of office hours was a huge benefit to the organisation. Karl Andrews explains the positive affects the Service Desk has noted since implementing the solution. "We have seen a marked reduction in the overall volume of calls to the Service Desk. The numbers are good. We get about 500 less requests to the Service Desk a year since the implementation of SSRPM. This makes a huge difference to us as our team is no longer inundated with resets and the end user is happier as they are able to access their account without delay." Once Phase Two of the organisation's UMRA implementation has been completed, Oxford University Press plan to carry on working with Tools4ever and expanding their current SSRPM & UMRA implementations. Karl Andrews comments "I'm looking at bringing my other systems onboard for both UMRA and SSRPM, then expanding it out to any other systems we can as well."